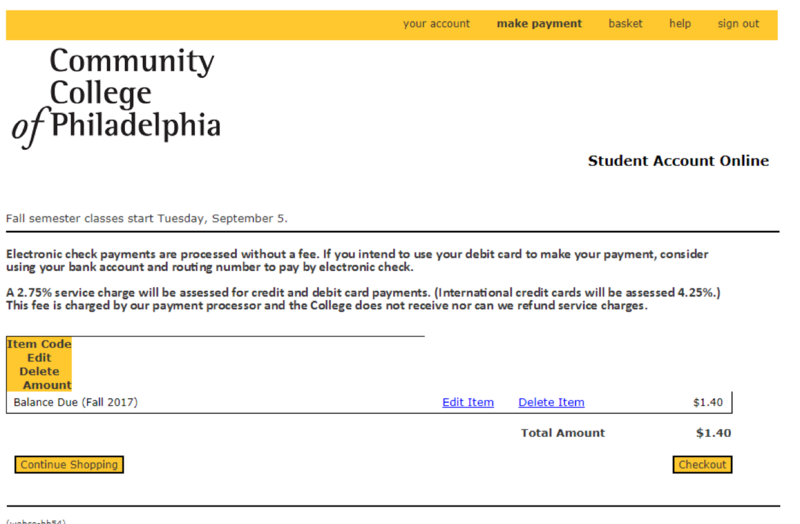 Before the start of each semester, a bill will be emailed to you. If you don’t receive a bill then, it is your responsibility to obtain it from the Bursar’s Office. If you have questions or need assistance, contact the Bursar’s Office by email or call 215-751-8130. 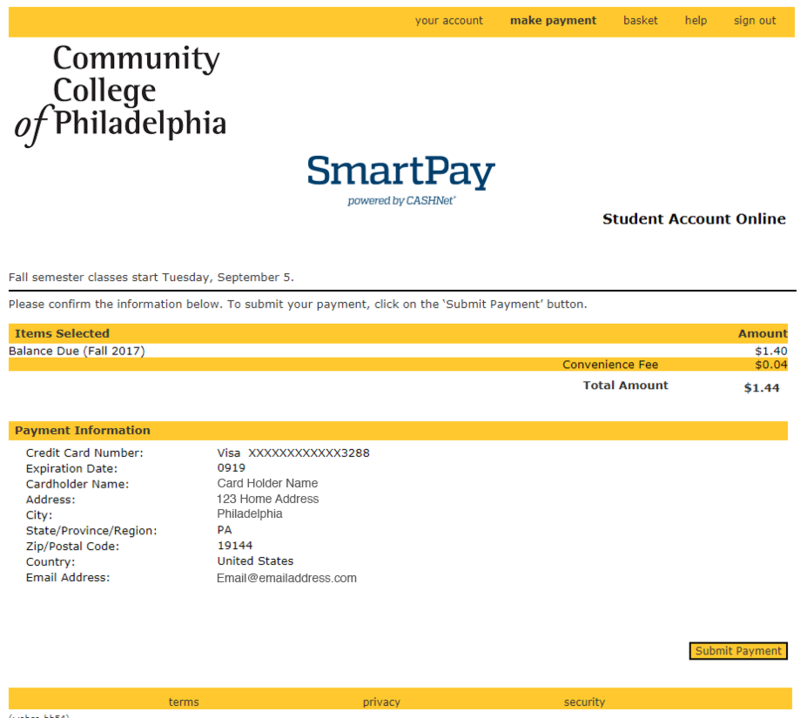 Students can pay their bills quickly and easily by e-Check, credit card or debit card by logging into MyCCP. We accept all major credit cards (Visa, MasterCard, Discover, American Express, Diners Club and JCB). Log into MyCCP with your user name and password. If you don’t have a username and password, get one here. 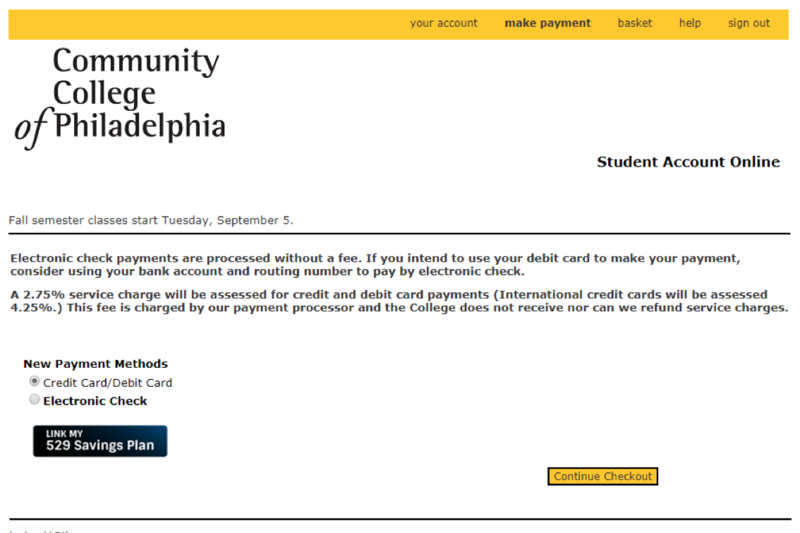 You‘ll need to enter your Social Security number and student ID (J number). 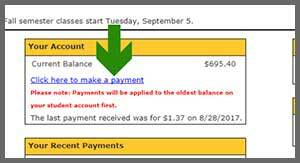 On your account summary screen, select the “Click here to make a payment” link in the “Your Account” box. 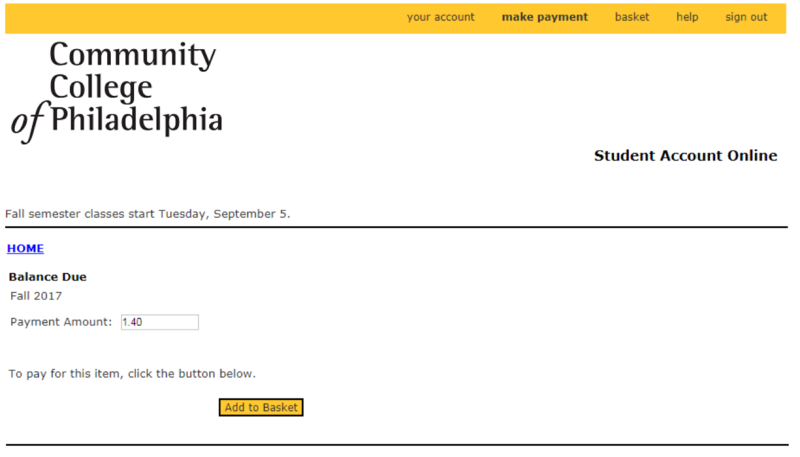 Select the semester that you want to make a payment toward by clicking the link. 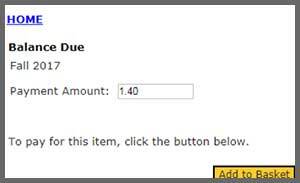 Enter the amount that you wish to pay in the “Payment Amount” box, then click the “Add to Basket” button. 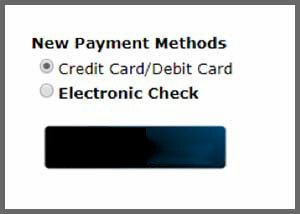 Make sure the payment amount you entered is correct, then click the “Checkout” button. 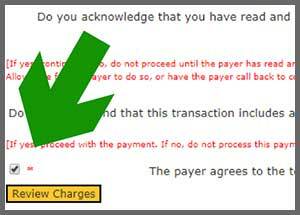 If you’ve opted to pay by credit or debit card, review the service charges on the next screen and check off the box next to the acknowledgment statement. 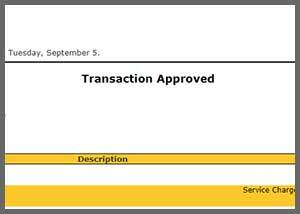 The “Transaction Approved” screen will appear if the payment went through successfully. You will receive a receipt by email. To send an email to another address, click the “Email Another Receipt” button. 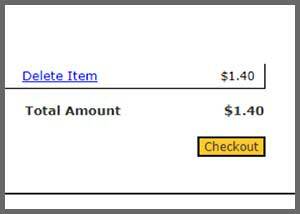 To print a receipt, click the “View Printable Receipt” button. 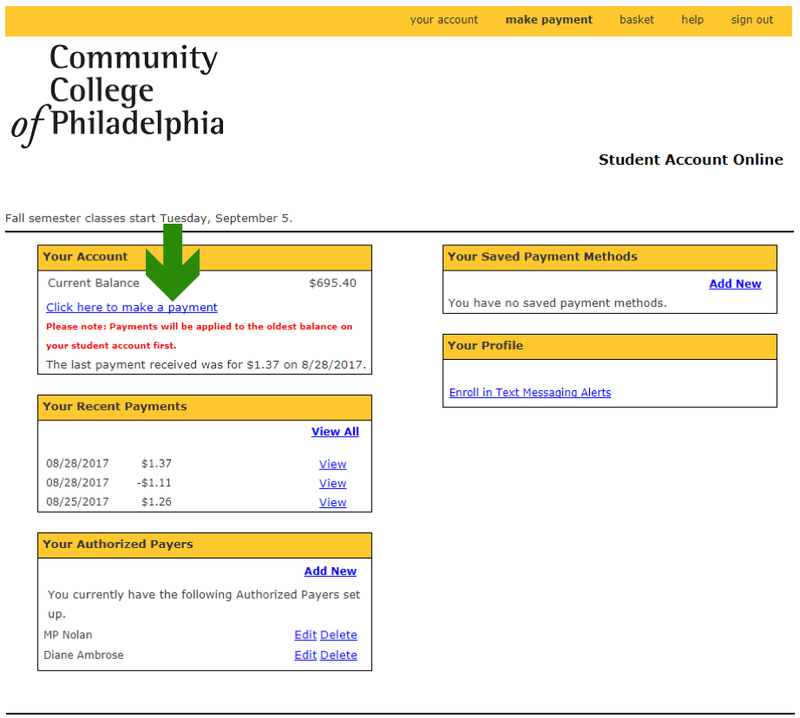 A student can set up an Authorized Payer which grants that person access to view the balance due and make a payment on the student’s account. Authorized Payers will receive an email with a username and password, which you can use to login and make a payment starting with step 3 of the instructions above. 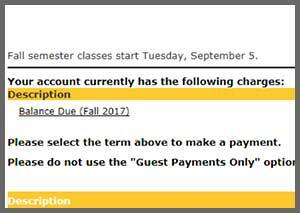 If you would like to make a payment on a student’s behalf, but you are not an Authorized Payer on their account, you can make a guest payment. 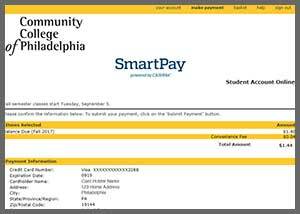 You will need to know the student’s ID number (J#) and spelling of their last name, and you can then use this information to make a guest payment. 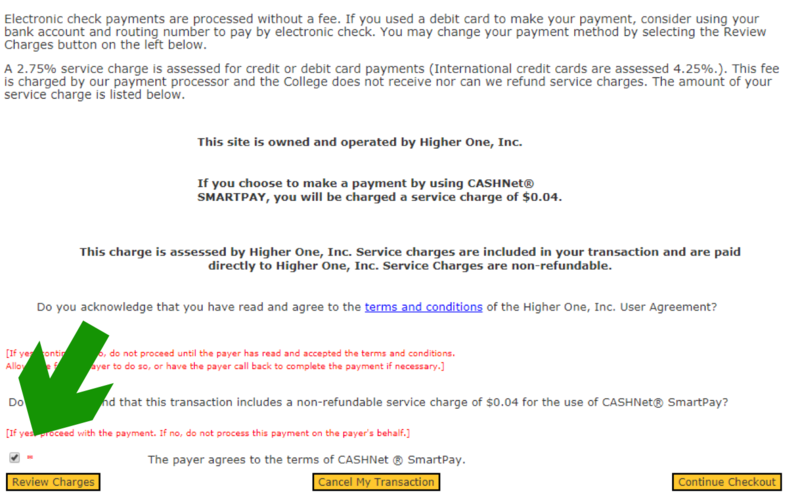 Select the “Guest Payments Only” button, enter the payment amount and select the term, then proceed from step 6 of the instructions above. 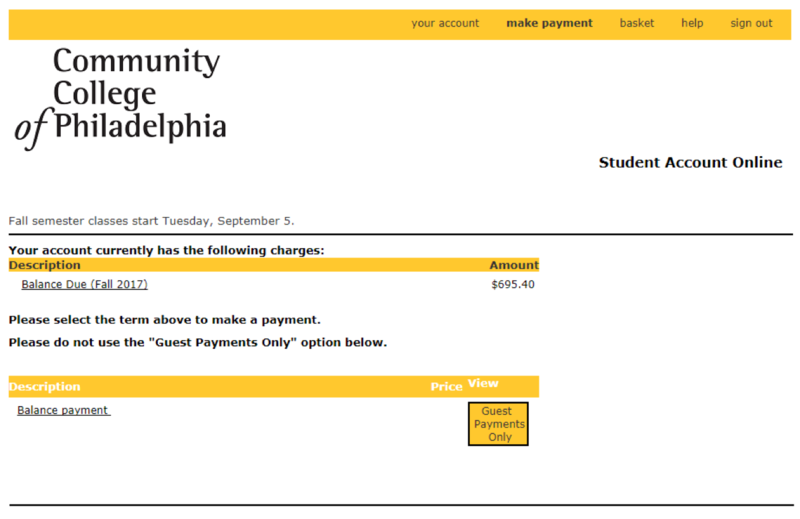 Please note that you will not see the student's account balance when making a guest payment. We are also available at the Northeast Regional Center in Office 102-F from December 3, 2018 through January 22, 2019. Receipts are not issued for mailed payments unless specifically requested. 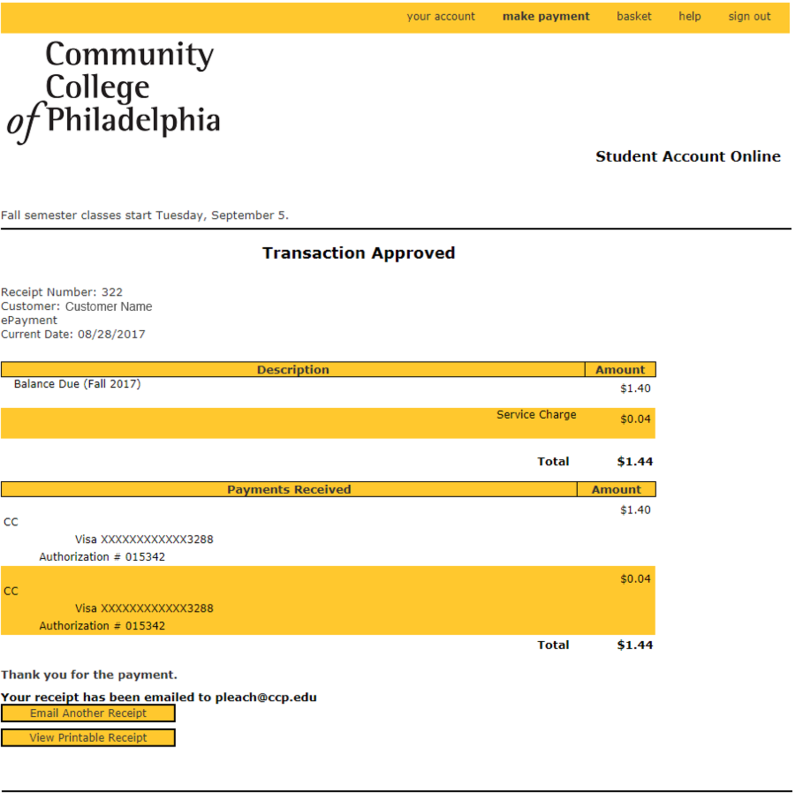 Checks that are returned to the College by the bank for insufficient funds must be repaid within 5 business days, or you will be administratively withdrawn from the College. Only cash, certified checks, credit/debit cards and money orders will be accepted for repayment of returned checks. If you have any questions, contact the Office of the Bursar by email or call 215-751-8130.